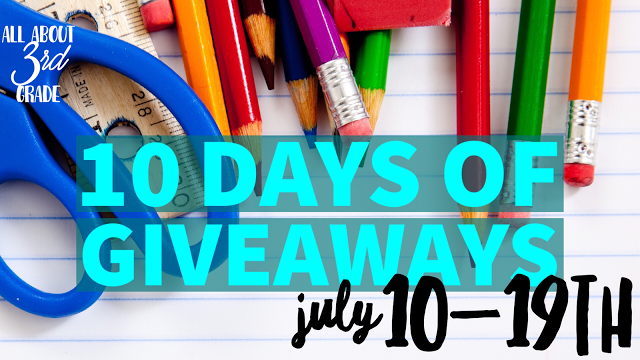 Welcome to Day 5 of our Ten Days of Giveaways! Congratulations to yesterday's lucky winner of Teaching with Apptitude’s fluency centers for iPads! My name is Pamela, and I blog and create teaching resources as Hedgehog Reader. More importantly, I teach 3rd grade and absolutely love it! One skill that I find most of my third-graders need to practice is ABC Order. Hand-in-hand with that is developing proficiency with guide words. 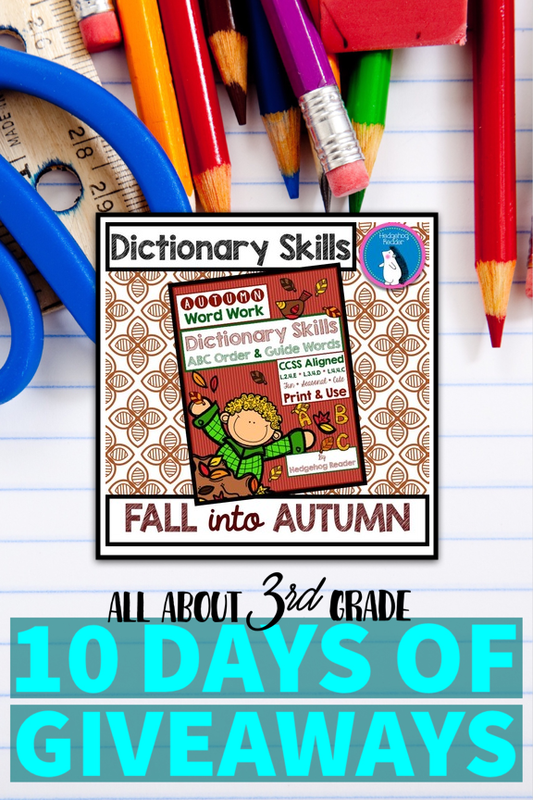 Both of these sets of important dictionary skills empower our young learners with their research, writing, and vocabulary development. Additionally, the act of alphabetizing or sorting words to determine guide word placement also strengthens their logic and critical thinking skills. 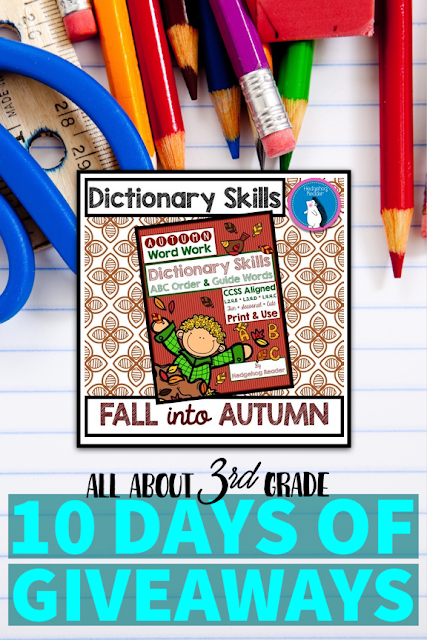 Some of my best-selling products in my Teachers Pay Teachers store are my Dictionary Skills resources, and today I will be giving away one of my favorites, Fall into Autumn Dictionary Skills. 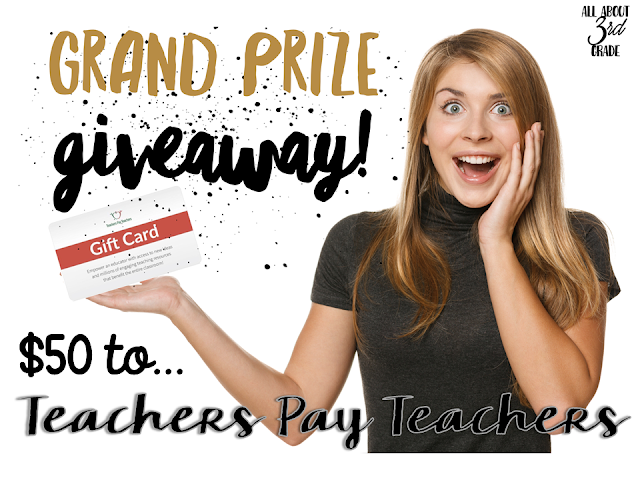 And be sure to enter our Grand Prize Giveaway! Thanks for entering, good luck, and be sure to come back tomorrow and each day this week for our 10 Days of Giveaways! I can't find you on Pintrest. 😥 Is your Pintrest name different? Yea I won a giveaway!So if we won one of your giveaways, how do we get it? Thank you! Congratulations Lori! I spoke with Pam from the Hedgehog Reader and she said she had trouble connecting with you, but that she finally was able to reach you. I hope you enjoy your resource! Best wishes this year!